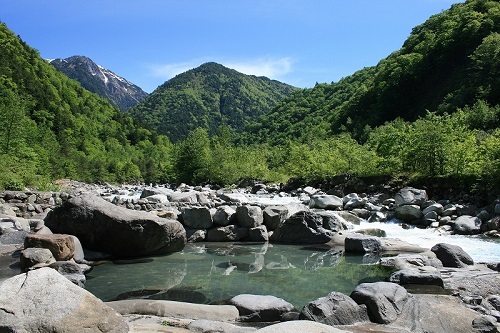 Okuhida Onsengo is famous for its hot springs, and especially so for its rotemburo (outdoor baths) with views of the surrounding Northern Japan Alps. 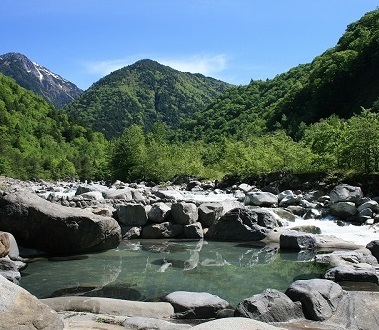 Five onsen towns have developed along Okuhida's valleys, each with its own unique character and hot spring water, as they are fed from different hot spring sources. 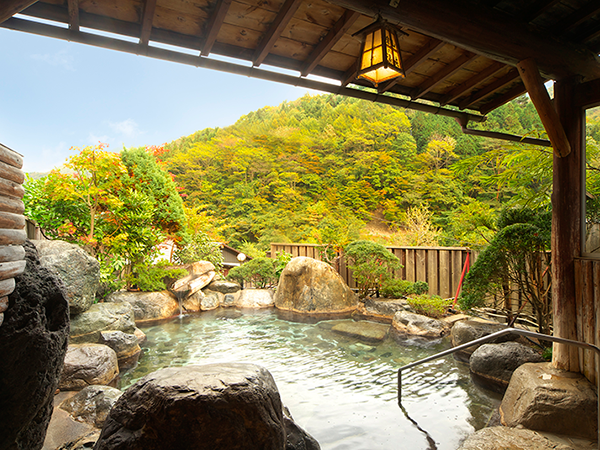 The towns offer a variety of baths, many of which have both segregated and mixed gender bathing, best enjoyed by staying overnight at a ryokan with hot spring baths. 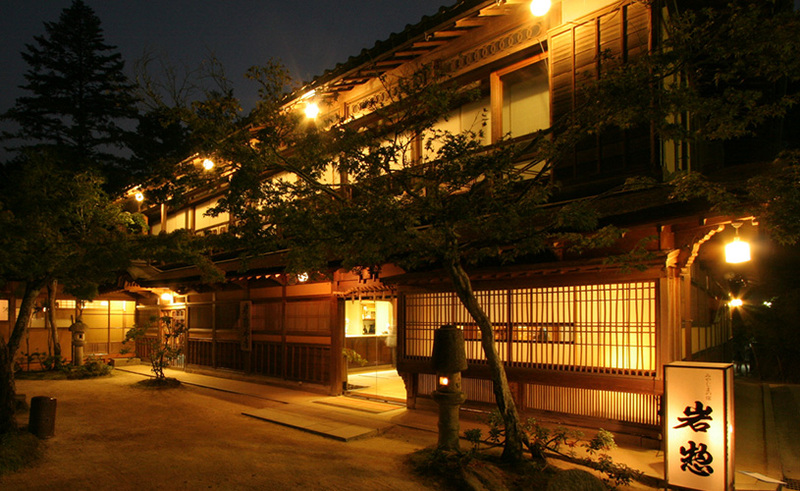 Public bath houses and several ryokan also open their baths to non-staying guests during daytime for typically 500 to 2000 yen. 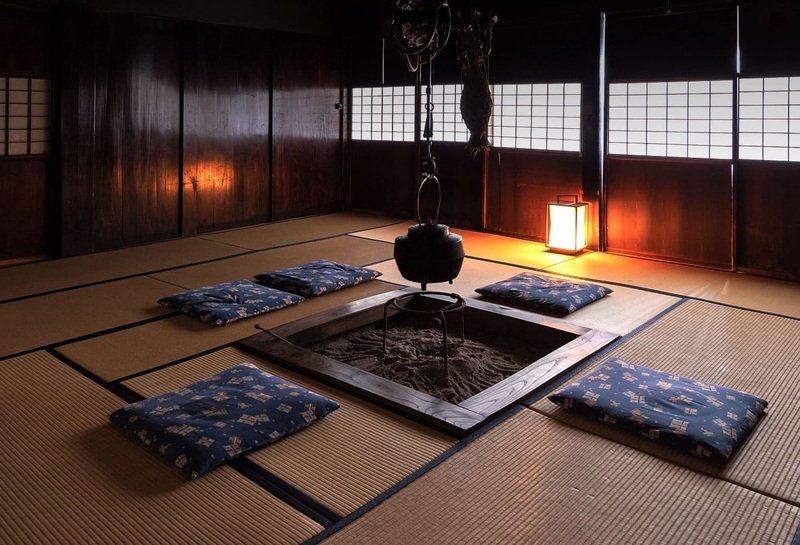 Below is an introduction of each town and a short selection of recommended baths open to the public. 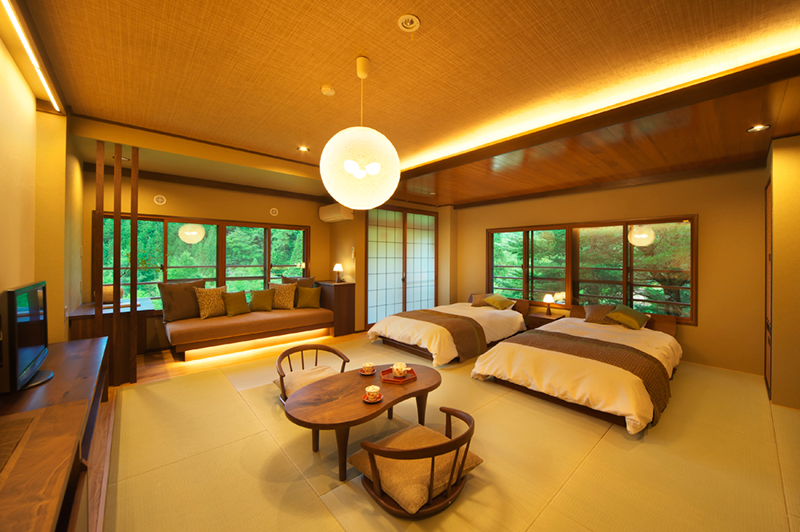 For more information about Okuhida Onsengo please see our travel content partner Japan-Guide. Welcome to Shinzansou. 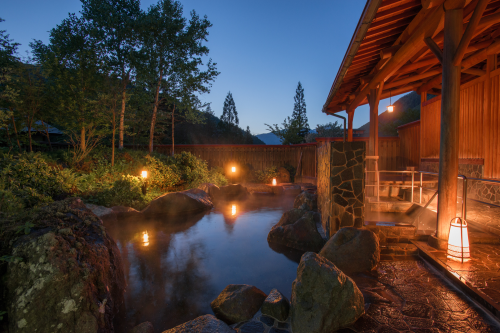 This ryokan surrounded by mountains between Takayama and Matsumoto, on the river banks provides a very nice onsen experience. 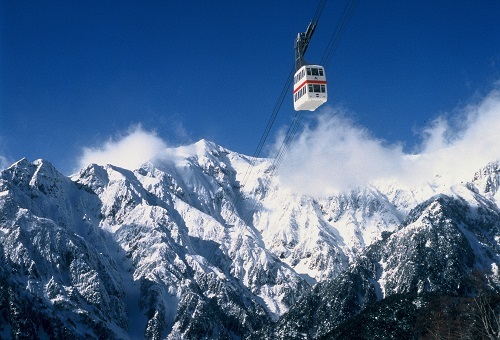 Shinzansou is an inn that serves as a base for climbing throughout the four seasons to heal the fatigue of the day of climbers so they will have the energy to fight on the next day. 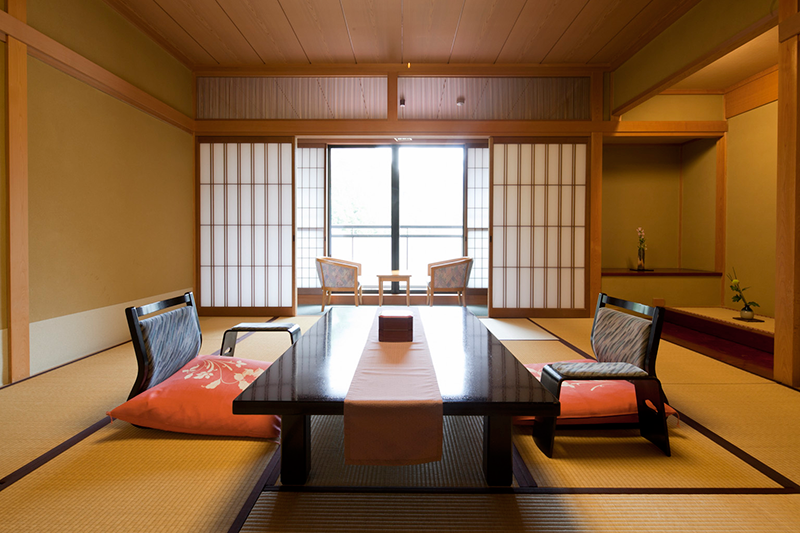 There are 8 rooms at Shinzansou. 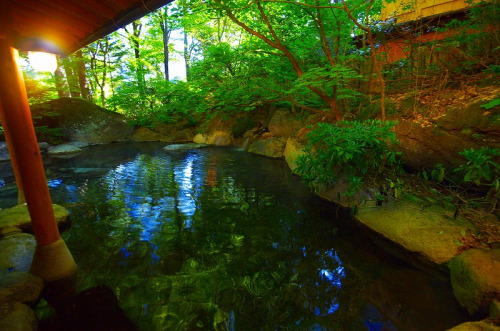 Take a moment here for a deep breath; enjoy mother nature.